Pankaj Advani is a decorated English billiards and snooker player from India who has around 60 titles in his credit including 19 World titles. He holds a historical record of winning the World, Asian, and Indian National Championship titles simultaneously, in four different years: 2005, 2008, 2012 and 2017. Pankaj is the only player ever to win world titles in both the long and short formats of snooker (15-red standard, and 6-red) and both formats of English billiards (time and point). He has been honored with several high profile awards for his accomplishments in sports including, the Arjuna Award (2004), Rajiv Gandhi Khel Ratna (2006), Padma Shri (2009) and Padmabhushan (2018). 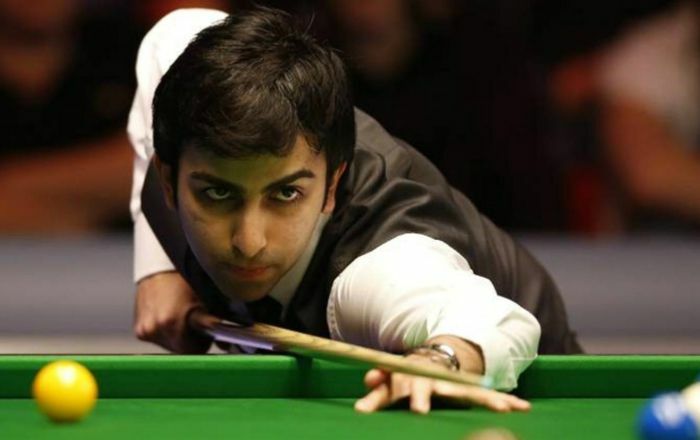 Pankaj Advani was born on 24 July 1985, in Pune, Maharashtra, India. Pankaj attended Frank Anthony Public School, Bangalore and earned his bachelor’s degree in Commerce from Sri Bhagawan Mahaveer Jain College, Bangalore. Advani has kept his personal life discreet from his professional life and thus there is not much information available of any relation he has had in the past or in the present. Pankaj Advani made his international debut at the Asian Billiards Championship 2002, held at Bangalore, in which he finished as a finalist. He own his first International title in 2005 in the IBSF World Billiards Championship at Qawra, Malta, becoming the first player top achieve a “grand double” by winning both the time and point formats. At 18, Pankaj debuted at the IBSF World Snooker Championship 2003, held at Jiangmen, China, and apparently winning the title.With this win, he became the youngest Indian to win the international title. As of March 2018, Pankaj Advani has won 60 titles, including 19 World Titles, 8 Asian Titles, 2 Asian Games, 1 Australian Open and 30 National Titles. Karnataka’s ‘Kempegowda Award” in 2007. Vision of India’s “International Indian” Award in 2005. The Sports Star Sportsperson of the Year, 2003. There’s no information pertaining to his net worth available at this time. His family moved to Kuwait when he was a toddler and lived there for five years. They returned to India after Iraqi invasion and settled in Bangalore, India. His brother Shree Advani introduced him to Arvind Savur, former National Snooker champion, when he discovered his passion for the game. Advani received snooker training from Arvind Savur. Pankaj won his maiden title at the age of 12. In 2000, he won the Indian Junior Billiards Championship title and went on to win the title again in 2001 and 2003. In 2003, Pankaj won the India Junior Snooker Championship, thus making him the youngest National Snooker champion. At the IBSF World Billiards Championship 2005, he own both the time and point formats title, and thus becoming the only Indian to have won the amateur world title in both snooker and billiards. He made it again in 2008. Pankaj holds the record of being the youngest Indian to have won both formats of world titles in English billiards, for a record 8 times. He also holds a record of being the only person to win all five national, regional, and world billiards tournaments in a single season, the Asian Billiards Championship, and both the World Billiards Championship (point format) and World Billiards Championship (time format). Pankaj Advani is the only player ever to win world titles in both the long and short formats of snooker (15-red standard, and 6-red) and both formats of English billiards (time and point).